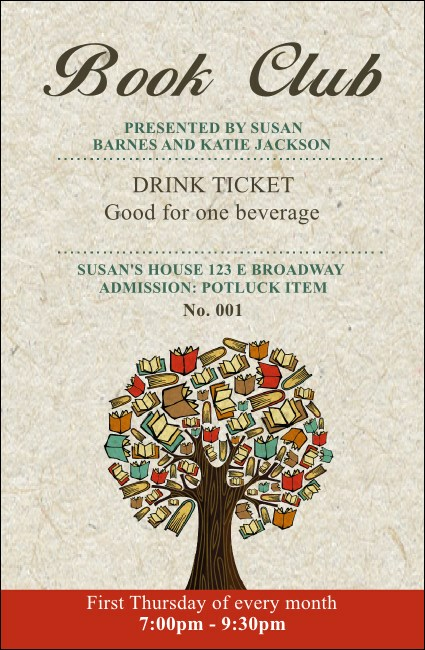 Quench your thirst for knowledge and distribute the Books Drink Ticket at your literary engagement. Colorful covers and pages grow from a strong tree on this template. Help out your guests and service staff with this fun ticket. Offer tea, coffee, or wine!